Year 6 have been using ‘Expanded Noun Phrases’ to convey complicated information concisely. They have created a quiz by using ‘Expanded Noun Phrases’ to describe well known characters. Can you match the correct description to the character? 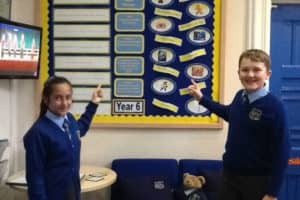 If you want to try the quiz in School, it is on display outside the Year 6 classroom. 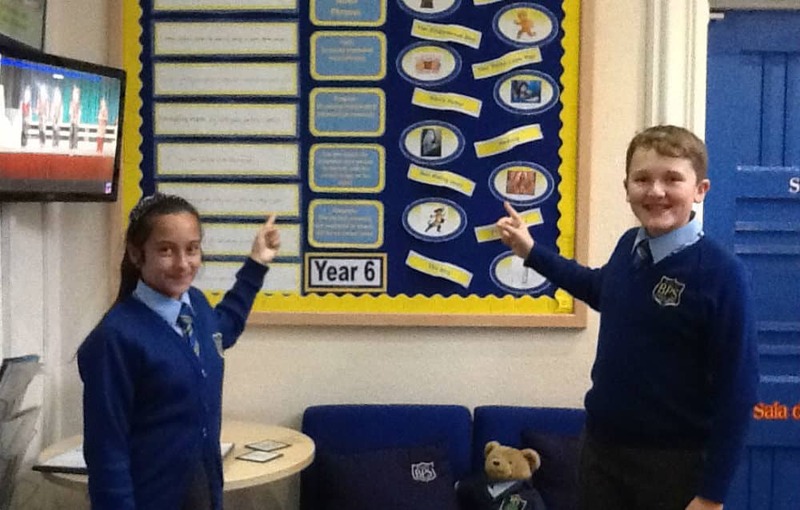 If you would like to challenge Year 6 with a description of your own – they accept! 1. A strong, furry, romantic boy with great parkour skills. 2. A loyal, trustworthy, snow-white creature with a crooked lob-sided beak. 3. A loveable kind, generous girl with a smile as wide as a whale and as shiny as gold. 5. A feared, friendly, big-headed mammal with a kind, intelligent girl-friend. 6. Three active, adventurous, co-operative siblings with confident personalities and courageous hearts. 7. A skilful, curious, impatient boy with a nose-less, bald enemy. 8. A rotund, religious, reliable man with the ability to advise others wisely.